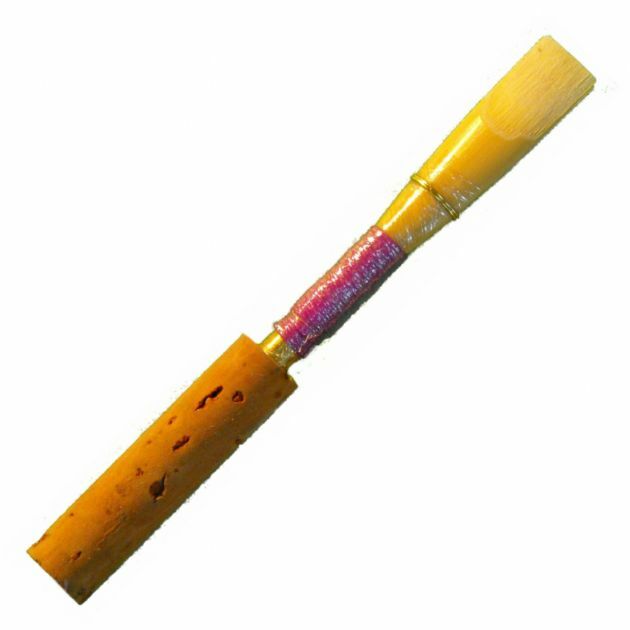 The Regency oboe reed is our most popular reed - a fact which is not surprising when one considers that it is medium in all characteristics. It is an oboe reed which therefore suits a wide range of players from the early stages up to highly accomplished musicians. The medium gouge and a standard U-scrape produces an oboe reed with a good balanced scrape combining warmth and responsiveness. The shape is medium width with a medium-large internal volume creating warmth with good sonority. Overall these features combine to offer a very popular medium-weight oboe reed with a warm and medium-to-broad tone. All our reeds can be returned, after testing, within 1 month for exchange or refund (please note we cannot accept reeds which have been extensively used). Recanes - what are they? Recanes are made by using your old reeds - we strip back the cane and binding to leave just the staple (cork and metal base) and we bind on a new piece of cane. They play like new reeds and last just as long. How to order: On this page, in the "Type" box above, select "Recane", then in the "Strength" box above select the strength you want, and click "Add to Cart".